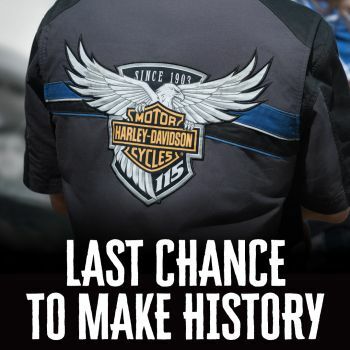 Inspired by the 115th Anniversary custom motorcycle designs, this collection of riding gear, casual wear, gifts and accessories are the perfect addition to celebrate our anniversary in style. On and off the bike. Don’t miss out, make history today.